GRAPHIC DESIGN | CUSTOM SOLUTIONS | B&C PLASTICS LTD. Custom labeling still remains the most commonly used method. 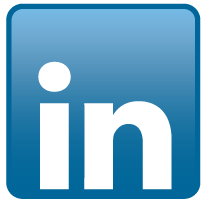 A large quantity user who is cost conscious may select a custom labeling. There are two common types of custom labels. B&C Plastics Ltd. is capable of machine applying labels. Paper labeling systems involve labels which are supplied pre-cut and without glue backing. In the labeling process the glue is applied to the label by machinery, and in turn applied to the container. Because special equipment is required to apply labels of this type, usually larger volume manufacturers specialize in this type of decorating. There are, however, low speed, low cost labels available that can perform this same process. Depending on container size, if the total volume is low, pressure sensitive labels may be the best choice. These labels can be made economically for such an application and yet the graphics can be quite extraordinary. Pressure sensitive labels are provided with an adhesive on the label. The end user either mechanically or by hand peels the backing material from the label exposing the adhesive. The label is then pressed onto the container and labeling is completed. Usually the label itself is heavier in weight than conventional paper labels. Many packagers desiring foil labels will utilize pressure sensitive labels. Compared to other paper label systems pressure sensitive labels may be more costly. But the convenience, flexibility or rich appearance of a pressure sensitive label are principal reasons for their widespread use. With new technologies, a transparent decal-like label that, when applied to a container, gives it the appearance of print being applied directly to the container yet has the advantage of being applied in a similar fashion to a glue type paper label. Many fillers will use the same bottle for several products. By doing in-house labeling, the inventory of empty bottles can be kept to a minimum. The unwind direction is simply the way in which a label unwinds from a roll. This is most easy explained by looking at the diagram below. 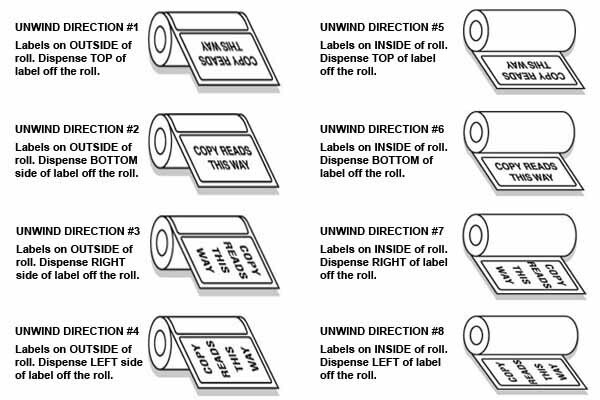 Unwind direction #1 is when the top of the label comes off the roll first as an example. Usually unwind direction is only important when your labels are being applied to the container by machine - if you are hand applying then the unwind direction really does not matter. Most labeling machines will only be able to work with one unwind direction for each type of container.